A BB tinted sunscreen that offers natural coverage and SPF 50+ protection. 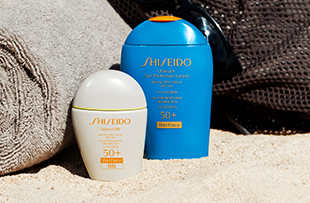 An innovative natural-looking, long-lasting and transfer-resistant BB tinted sunscreen with Shiseido's Ultimate Sun Protection formula and WetForce Technology for powerful, beautiful protection. It's sunscreen! It’s makeup! It’s both—and more. This ingenious new hybrid keeps skin looking undeniably gorgeous and protected, even while you have fun under the sun playing sports and working out. Now in a transfer-resistant BB tinted sunscreen, discover the ultimate sun protection formula with innovative WetForce Technology. This super-lightweight formula blends easily into skin and stays put, delivering comfortable natural coverage that camouflages uneven skin texture and tone so you can look your best while you sweat. Active women looking for a BB cream that is long-lasting, natural-looking and lightweight with ultra powerful sun protection. 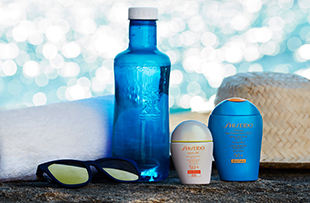 Featuring WetForce Technology, this sunscreen’s UV protection veil becomes more effective when the applied area is exposed to water or perspiration for 30 minutes. Three shades that each blend easily with a variety of skin tones. To activate WetForce Technology, expose the applied area to water or perspiration for 30 minutes.